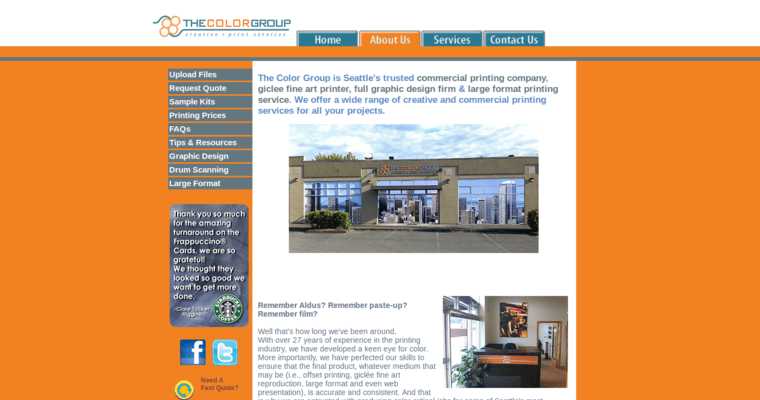 The Color Group is a printing firm in Seattle that provides a variety of services to their clients, ranging from graphic design to printing. 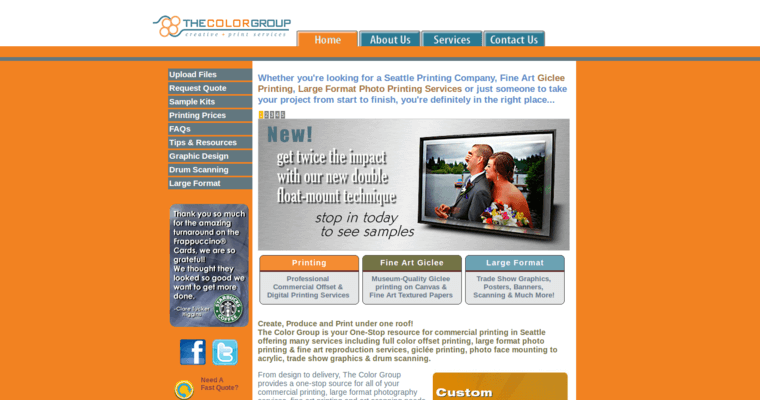 One of their most popular services is giclee printing, which can create incredible quality prints for both photographers and artists. One of the main advantages of giclee printing services is that they are suitable for artists who don't need to mass produce their work. Therefore, you can order as few or as many prints as you want. There are no hidden setup costs or other surcharges to worry about. 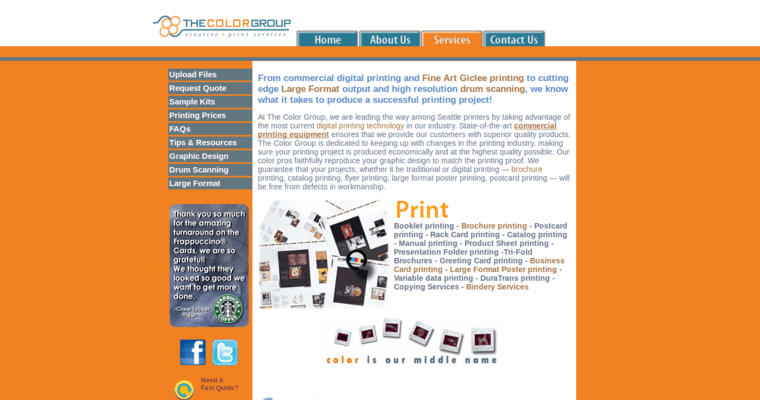 The Color Group uses only the very best in terms of printing equipment, which allows you to get prints that are of amazing quality while still keeping your costs low. They use museum quality acid-free papers as well as stretchable canvas so that your prints can last for well over a hundred years.